1.1 How public was the public sphere? This movement [from the intellectual to the cultural/social] implies casting doubt on two ideas: first, that practices can be deduced from the discourses that authorize or justify them; second, that it is possible to translate the terms of an explicit ideology the latent meaning of social mechanisms. One of the primary elements of the cultural interpretation of the Enlightenment is the rise of the public sphere in Europe. Jürgen Habermas has influenced thinking on the public sphere more than any other, though his model is increasingly called into question. The essential problem that Habermas attempted to answer concerned the conditions necessary for “rational, critical, and genuinely open discussion of public issues”. Or, more simply, the social conditions required for Enlightenment ideas to be spread and discussed. His response was the formation in the late seventeenth and eighteenth centuries of the “bourgeois public sphere”, a “realm of communication marked by new arenas of debate, more open and accessible forms of urban public space and sociability, and an explosion of print culture". More specifically, Habermas highlights three essential elements of the public sphere: it was egalitarian; it discussed the domain of "common concern"; argument was founded on reason. James Van Horn Melton provides a good summary of the values of this bourgeois public sphere: its members held reason to be supreme; everything was open to criticism (the public sphere is critical); and its participants opposed secrecy of all sorts. This helps explain what Habermas meant by the domain of "common concern". Habermas uses the term to describe those areas of political/social knowledge and discussion that were previously the exclusive territory of the state and religious authorities, now open to critical examination by the public sphere. Habermas credits the creation of the bourgeois public sphere to two long-term historical trends: the rise of the modern nation state and the rise of capitalism. The modern nation state in its consolidation of public power created by counterpoint a private realm of society independent of the state – allowing for the public sphere. Capitalism likewise increased society’s autonomy and self-awareness, along with creating an increasing need for the exchange of information. As the nascent public sphere expanded, it embraced a large variety of institutions, the most commonly cited being coffee houses and cafés, salons and the literary public sphere, figuratively localized in the Republic of Letters. Dorinda Outram provides a more nuanced description of the rise of the public sphere. The context of the rise of the public sphere was the economic and social change commonly grouped under the effects of the Industrial Revolution: "economic expansion, increasing urbanisation, rising population and improving communications in comparison to the stagnation of the previous century". Rising efficiency in production techniques and communication lowered the prices of consumer goods at the same time as it increased the amount and variety of goods available to consumers (including the literature essential to the public sphere). Meanwhile, the colonial experience (most European states had colonial Empires in the eighteenth century) began to expose European society to extremely heterogeneous cultures. Outram writes that the end result was the breaking down of "barriers between cultural systems, religious divides, gender differences and geographical areas". In short, the social context was set for the public sphere to come into existence. The Habermasian model has been criticized on all fronts by historians. That it was bourgeois is contradicted by the many examples of noble and lower class participation in areas such as the coffeehouses and the freemasonic lodges. That it was independent and critical of the state is contradicted by the diverse cases of government-sponsored public institutions and government participation in debate, along with the cases of private individuals using public venues to promote the status quo. How public was the public sphere? The word “public” implies the highest level of inclusivity – the public sphere by definition should be open to all. However, as the analysis of many “public” institutions of the Enlightenment will show, this sphere was only public to relative degrees. Indeed, as Roger Chartier emphasizes, Enlightenment thinkers frequently contrasted their conception of the “public” with that of the people: Chartier cites Condorcet, who contrasted “opinion” with populace; Marmontel with “the opinion of men of letters” versus “the opinion of the multitude”; and d’Alembert, who contrasted the “truly enlightened public with “the blind and noisy multitude”. As Mona Ozouf underlines, public opinion was defined in opposition to the opinion of the greater population. While the nature of public opinion during the Enlightenment is as difficult to define as it is today, it is nonetheless clear that the body that held it (ie. the public sphere) was exclusive rather than inclusive. This observation will become more apparent during the descriptions of the institutions of the public sphere, most of which excluded both women and the lower classes. The public institutions of the Enlightenment included Academies, the book industry (scientific literature, journals, newspapers, The Republic of Letters and Grub Street), coffeehouses, debating societies, freemasonic lodges and Salons. It had to be relatively inclusive (ie. Public). Most of the institutions listed either were egalitarian or created hierarchies that contrasted with social hierarchies. It had to participate in the “public” spread of information, often with normative intentions. It had to allow for potentially critical thought. For example, using these standards, the London debating societies were part of the public sphere, because they were inclusive and egalitarian, they spread information, and they promoted critical thought. The history of Academies in France during the Enlightenment begins with the Academy of Science, founded in 1666 in Paris. From the beginning, the Academy was closely tied to the French state, acting as an extension of a government seriously lacking in scientists. Beyond serving the monarchy, the Academy had two primary purposes: it helped promote and organize new disciplines, and it trained new scientists. It also contributed to the enhancement of scientists’ social status, considered them to be the “most useful of all citizens". Academies demonstrate the rising interest in science along with its increasing secularization, as evidenced by the small amount of clerics who were members (13 percent). The presence of the French academies in the public sphere cannot be attributed to their membership; although the majority of their members were bourgeois, the exclusive institution was only open to elite Parisian scholars. That being said, they did perceive themselves to be “interpreters of the sciences for the people”. Indeed, it was with this in mind that academians took it upon themselves to disprove the popular pseudo-science of mesmerism. However, the strongest case for the French Academies being part of the public sphere comes the concours académiques (roughly translated as academic contests) they sponsored throughout France. As Jeremy L. Caradonna argues in a recent article in the Annales, “Prendre part au siècle des Lumières: Le concours académique et la culture intellectuelle au XVIIIe siècle”, these academic contests were perhaps the most public of any institution during the Enlightenment. L’Académie française revived a practice dating back to the Middle Ages when it revived public contests in the mid-seventeenth century. The subject manner was generally religious and/or monarchical, and featured essays, poetry, and painting. 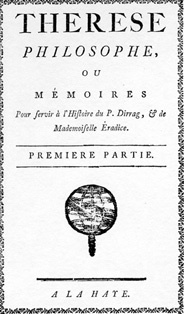 By roughly 1725, however, this subject matter had radically expanded and diversified, including “royal propaganda, philosophical battles, and critical ruminations on the social and political institutions of the Old Regime.” Controversial topics were not always avoided: Caradonna cites as examples the theories of Newton and Descartes, the slave trade, women's education, and justice in France. More importantly, the contests were open to all, and the enforced anonymity of each submission guaranteed that neither gender nor social rank would determine the judging. Indeed, although the “vast majority” of participants belonged to the wealthier strata of society (“the liberal arts, the clergy, the judiciary, and the medical profession”), there were some cases of the popular classes submitting essays, and even winning. Similarly, a significant number of women participated –and won – the competitions. Of a total of 2 300 prize competitions offered in France, women won 49 – perhaps a small number by modern standards, but very significant in an age in which most women did not have any academic training. Indeed, the majority of the winning entries were for poetry competitions, a genre commonly stressed in women’s education. In England, the Royal Society of London also played a significant role in the public sphere and the spread of Enlightenment ideas. In particular, it played a large role in spreading Robert Boyle's experimental philosophy around Europe, and acted as a clearinghouse for intellectual correspondence and exchange. As Steven Shapin and Simon Schaffer have argued, Robert Boyle was "a founder of the experimental world in which scientists now live and operate". Boyle's method based knowledge on experimentation, which had to be witnessed to provide proper empirical legitimacy. This is where the Royal Society came into play: witnessing had to be a "collective act", and the Royal Society's assembly rooms were ideal locations for relatively public demonstrations. Reading underwent serious changes in the eighteenth century. In particular, Rolf Engelsing has argued for the existence of a “reading revolution” ( Rolf Engelsing: Analphabetentum und Lektüre. Stuttgart 1973). Until 1750, reading with done “intensively: people tended to own a small number of books and read them repeatedly, often to small audience. After 1750, people began to read “extensively”, finding as many books as they could, increasingly reading them alone (from Outram, 19. See Rolf Engelsing, “Die Perioden der Lesergeschichte in der Neuzeit. Das statische Ausmass und die Soziokulturelle Bedeutung der Lektür”, Archiv fûr Gerschichte des Buchwesens, 10 (1969), cols. 944–1002 and Der Bürger als Leser: Lesergeschichte in Deutschland, 1500-1800 (Stuttgart, 1974).). On the other hand, as Jonathan Israel writes, Gabriel Naudé was already campaigning for the “univerisal” library in the mid-seventeenth century. And if this was an ideal only realistic for state institutions and the very wealthy (and indeed, an ideal that was seldom achieved), there are records for extremely large private and state-run libraries throughout Europe in the seventeenth and eighteenth-centuries. Of course, the vast majority of the reading public could not afford to own a private library. And while most of the state-run “universal libraries” set up in the seventeenth- and eighteenth-centuries were open to the public, they were not the only sources of reading material. On one end of the spectrum was the Bibliothèque Bleue, a collection of cheaply produced books published in Troyes, France. Intended for a largely rural and semi-literate audience these books included almanacs, retellings of medieval romances and condensed versions of popular novels, among other things. While historians, such as Roger Chartier and Robert Darnton, have argued against the Enlightenment’s penetration into the lower classes, the Bibliothèque Bleue, at the very least, represents a desire to participate in Enlightenment sociability, whether or not this was actually achieved. Moving up the classes, a variety of institutions of readers access to material without needing to buy anything. Libraries that lent out their material for a small price started to appear, and occasionally bookstores would offer a small lending library to their patrons. Coffee houses commonly offered books, journals and sometimes even popular novels to their customers. The Tatler and The Spectator, two influential periodicals sold from 1709 to 1714, were closely associated with coffee house culture in London, being both read and produced in various establishments in the city. Indeed, this is an example of the triple or even quadruple function of the coffee house: reading material was often obtained, read, discussed and even produced on the premises. As Darnton describes in The Literary Underground of the Old Regime, it is extremely difficult to determine what people actually read during the Enlightenment. For example, examining the catalogues of private libraries not only gives an image skewed in favour of the classes wealthy enough to afford libraries, it also ignores censured works unlikely to be publicly acknowledged. For this reason, Darnton argues that a study of publishing would be much more fruitful as to hypothesizing reading habits. All across continental Europe, but in France especially, book sellers and publishers had to negotiate censorship laws of varying strictness. The Encyclopédie, for example, narrowly escaped seizure and had to be saved by Guillaume-Chrétien de Lamoignon de Malesherbes, the man in charge of the French censure. Indeed, many publishing companies were conveniently located outside of France as to avoid overzealous French censors. They would smuggle their clandestine merchandise – both pirated copies and censured works – across the border, where it would then be transported to clandestine book sellers or small-time peddlers. Darnton provides a detailed record of one clandestine bookseller’s (one de Mauvelain) business in the town of Troyes. At the time, the town’s population was 22 000. It had one masonic lodge and an “important” library, though the literacy rate seems to have been less than 50 percent. Mauvelain’s records give us a good representation of what literate Frenchmen might have truly read, since the clandestine nature of his business provided a less restrictive product choice. The most popular category of books was political (319 copies ordered). This included five copies of D’Holbach’s Système social, but around 300 libels and pamphlets. Readers were far more interested in sensationalist stories about criminals and political corruption than they were in political theory itself. The second most popular category, “general works” (those books “that did not have a dominant motif and that contained something to offend almost everyone in authority”) likewise betrayed the high demand for generally low-brow subversive literature. These works, however, like the vast majority of work produced by Darnton’s “grub street hacks”, never became part of literary canon, and are largely forgotten today as a result. Nevertheless, the Enlightenment was not the exclusive domain of illegal literature, as evidenced by the healthy, and mostly legal, publishing industry that existed throughout Europe. “Mostly legal” because even established publishers and book sellers occasionally ran afoul of the law. The Encyclopédie, for example, condemned not only by the King but also by Clement XII, nevertheless found its way into print with the help of the aforementioned Malesherbes and creative use of French censorship law. But many works were sold without running into any legal trouble at all. Borrowing records from libraries in England, Germany and North America indicate that more than 70 percent of books borrowed were novels; that less than 1 percent of the books were of a religious nature supports a general trend of declining religiosity. A genre that greatly rose in importance was that of scientific literature. Natural history in particular became increasingly popular among the upper classes. Works of natural history include René-Antoine Ferchault de Réaumur’s Histoire naturelle des insectes and Jacques Gautier d’Agoty’s La Myologie complète, ou description de tous les muscles du corps humain (1746). However, as François-Alexandre Aubert de La Chesnaye des Bois’s Dictionnaire de la Noblesse (1770) indicates, natural history was very often a political affair. As E. C. Spary writes, the classifications used by naturalists “slipped between the natural world and the social ... to establish not only the expertise of the naturalists over the natural, but also the dominance of the natural over the social”. The target audience of natural history was French polite society, evidenced more by the specific discourse of the genre than by the generally high prices of its works. Naturalists catered to polite society’s desire for erudition – many texts had an explicit instructive purpose. But the idea of taste (le goût) was the real social indicator: to truly be able to categorize nature, one had to have the proper taste, an ability of discretion shared by all members of polite society. In this way natural history spread many of the scientific development of the time, but also provided a new source of legitimacy for the dominant class. The many scientific and literary journals (predominantly composed of book reviews) that were published during this time are also evidence of the intellectual side of the Enlightenment. In fact, Jonathan Israel argues that the learned journals, from the 1680s onwards, influenced European intellectual culture to a greater degree than any other “cultural innovation”. The first journal appeared in 1665– the Parisian Journal des Scavants – but it was not until 1682 that periodicals began to be more widely produced. French and Latin were the dominant languages of publication, but there was also a steady demand for material in German and Dutch. There was generally low demand for English publications on the Continent, which was echoed by England’s similar lack of desire for French works. Languages commanding less of an international market – such as Danish, Spanish and Portuguese – found journal success more difficult, and more often than not, a more international language was used instead. Although German did have an international quality to it, it was French that slowly took over Latin’s status as the lingua franca of learned circles. This in turn gave precedence to the publishing industry in Holland, where the vast majority of these French language periodicals were produced. In the midst of all the governments that decide the fate of men; in the bosom of so many states, the majority of them despotic ... there exists a certain realm which holds sway only over the mind ... that we honour with the name Republic, because it preserves a measure of independence, and because it is almost its essence to be free. It is the realm of talent and of thought. The ideal of the Republic of Letters was the sum of a number of Enlightenment ideals: an egalitarian realm governed by knowledge that could act across political boundaries and rival state power. Immanuel Kant considered written communication essential to his conception of the public sphere; once everyone was a part of the "reading public", then society could be said to be enlightened. The people who participated in the Republic of Letters, such as Diderot and Voltaire, are frequently known today as important Enlightenment figures. Indeed, the men who wrote Diderot's Encyclopédie arguably formed a microcosm of the larger "republic". Dena Goodman has argued that women played a major role in French salons—salonnières to complement the male [[philosophes]]. Discursively, she bases the Republic of Letters in polite conversation and letter writing; its principal social institution was the salon. Robert Darnton's The Literary Underground of the Old Regime was the first major historical work to critique this ideal model. He argues that, by the mid-eighteenth century, the established men of letters (gens de lettres) had fused with the elites (les grands) of French society. Consider the definition of "Goût" (taste) as written by Voltaire in the Dictionnaire philosophique (taken from Darnton): "Taste is like philosophy. It belongs to a very small number of privileged souls ... It is unknown in bourgeois families, where one is constantly occupied with the care of one's fortune". In the words of Darnton, Voltaire "thought that the Enlightenment should begin with the grands". The historian cites similar opinions from d'Alembert and Louis Sébastien Mercier. Darnton argues that the result of this "fusion of gens de lettres and grands" was the creation of an oppositional literary sphere, Grub Street, the domain of a "multitude of versifiers and would-be authors". These men, lured by the glory of the Republic of Letters, came to Paris to become authors, only to discover that their dreams of literary success were little more than chimeras. The literary market simply could not support large numbers of writers, who, in any case, were very poorly remunerated by publishing-bookselling guilds. The writers of Grub Street, the Grub Street Hacks, were left feeling extremely bitter about the relative success of their literary cousins, the men of letters. The devout wife of a certain Maréchal de France (who suffers from an imaginary lung disease), finding a husband of that species too delicate, considers it her religious duty to spare him and so condemns herself to the crude caresses of her butler, who would still be a lackey if he hadn't proven himself so robust. The public is warned that an epidemic disease is raging among the girls of the Opera, that is has begun to reach the ladies of the court, and that it has even been communicated to their lackeys. This disease elongates the face, destroys the complexion, reduces the weight, and causes horrible ravages where it becomes situated. There are lades without teeth, others without eyebrows, and some are completely paralyzed. It was Grub Street literature that was most read by the reading public during the Enlightenment. More importantly, Darnton argues, the Grub Street hacks inherited the "revolutionary spirit" once displayed by the philosophes, and paved the way for the Revolution by desacralizing figures of political, moral and religious authority in France. Although coffee had been known in France since the 1640s, it was Francesco Procopio dei Coltelli – François Procope – who established the first café in Paris, the Café Procope, in 1686. Although it took coffee a while to become popular, by the 1720s there were around 400 cafés in the city. The Café Procope in particular became a centre of Enlightenment, welcoming such names as Voltaire and Rousseau, and later on, Marat, Hébert and Camille Desmoulins during the Revolution. The Café Procope was also where Diderot and D’Alembert decided to create the Encyclopédie. Like the coffeehouse in England, the café in France was a varied affaire. If the Café Procope represented a high class institution, on the end of the spectrum, Louis Sebastien Mercier described an affiliation between cafés and prostitution: using prostitutes, army recruiters would lure young unsuspecting men into cafés, where they would then be forced or otherwise tricked into joining up. The general trend in Parisian cafés across the eighteenth century was popularization, helped by lower coffee prices. Indeed, Mercier wrote towards the end of the eighteenth century that “it is no longer decent to stay in a café, because it announces a dearth of acquaintances and an absolute void of good society”, although he was probably referring to the majority of cafés rather than every café. The cafés earned their place in the public sphere due to the conversation that took place within them. Robert Darnton in particular has studied Parisian café conversation in great detail. He describes how the cafés were one of the various “nerve centers” for bruits publics, public noise or rumour. These bruits were allegedly a much better source of information than were the actual newspapers available at the time. Clubs of fifty or more men who, at the beginning of the eighteenth century, met in pubs to discuss religious issues and affairs of state. Mooting clubs, set up by law students to practice rhetoric. Spouting clubs, established to help actors train for theatrical roles. In any event, popular debating societies began, in the late 1770s, to move into more “genteel”, or respectable rooms, a change which helped establish a new standard of sociability: “order, decency, and liberality”, in the words of the Religious Society of Old Portugal Street. Respectability was also encouraged by the higher admissions prices (ranging from 6d. to 3s. ), which also contributed to the upkeep of the newer establishments. The backdrop to these developments was what Andrew calls “an explosion of interest in the theory and practice of public elocution”. The debating societies were commercial enterprises that responded to this demand, sometimes very successfully. Indeed, some societies welcomed from 800 to 1200 spectators a night. These societies discussed an extremely wide range of topics. One broad area was women: societies debated over “male and female qualities”, courtship, marriage, and the role of women in the public sphere. Societies also discussed political issues, varying from recent events to “the nature and limits of political authority”, and the nature of suffrage. Debates on religion rounded out the subject matter. It is important to note, however, that the critical subject matter of these debates did not necessarily translate into opposition to the government. In other words, the results of the debate quite frequently upheld the status quo. The “cult of Enlightenment” for its devotees, freemasonic lodges originated from English and Scottish stonemasonic guilds in the seventeenth century. In the eighteenth century, they expanded into an extremely widespread collection of interconnected (to varying degrees) men’s, and occasionally women’s, associations with their own mythologies and special codes of conduct. These included a communal understanding of liberty and equality inherited from guild sociability – “liberty, fraternity, and equality”. The remarkable similarity between these values, which were generally common in Britain as on the Continent, and the French Revolutionary slogan of “liberté, égalité et fraternité” spawned many conspiracy theories. Notably, Abbé Barruel traced the origins of the Jacobins – and hence the Revolution – to the French freemasons. Freemasonry was officially established in Europe in 1734, when a lodge was set up in The Hague, although the first “fully formed lodge” appears to have met in 1721 in Rotterdam. Similarly, there are records of a Parisian lodge meeting in 1725 or 1726. As Daniel Roche writes, freemasonry was particularly prevalent in France – by 1789, there were perhaps as many as 100 000 French Masons, making Freemasonry the most popular of all Enlightenment associations. Freemasonry does not appear to have been confined to Western Europe, however, as Margaret Jacob writes of lodges in Saxony in 1729 and in Russia in 1731. Conspiracy theories aside, it is likely that masonic lodges had an effect on society as a whole. Jacob argues that they “reconstituted the polity and established a constitutional form of self-government, complete with constitutions and laws, elections and representatives”. In other words, the micro-society set up within the lodges constituted a normative model for society as a whole. This was especially true on the Continent: when the first lodges began to appear in the 1730s, their embodiment of British values was often seen as threatening by state authorities. For example, the Parisian lodge that met in the mid 1720s was composed of English Jacobite exiles. Furthermore, freemasons all across Europe made reference to the Enlightenment in general in the eighteenth century. In French lodges, for example, the line “As the means to be enlightened I search for the enlightened” was a part of their initiation rites. British lodges assigned themselves the duty to “initiate the unenlightened”. This did not necessarily link lodges to the irreligious, but neither did this exclude them from the occasional heresy. In fact, many lodges praised the Grand Architect, the masonic terminology for the divine being who created a scientifically ordered universe. The order of freemasons is a society of confraternity and equality, and to this end is represented under the emblem of a level ... a brother renders to another brother the honour and deference that is justly due him in proportion to his rank in the civil society. Elitism was beneficial for some members of society. The presence, for example, of noble women in the French “lodges of adoption” that formed in the 1780s was largely due to the close ties shared between these lodges and aristocratic society. Unless indicated otherwise, the text in this article is either based on Wikipedia article "The public sphere of the Enlightenment" or another language Wikipedia page thereof used under the terms of the GNU Free Documentation License; or on original research by Jahsonic and friends. See Art and Popular Culture's copyright notice. This page was last modified 11:12, 28 January 2014. This page has been accessed 4,512 times.